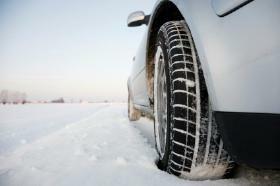 A winter car emergency kit should prepare you for a worst case scenario in which you are unable to leave your vehicle. The kit can help you to get help, keep you safe, and help reduce anxiety. At the beginning of the fall season, begin planning for the winter by creating a car emergency kit. When complete, this kit will provide you with several key items to keep you safe if you are involved in a car accident or are stuck in the snow. A car charger for your mobile phone will ensure you have a way of contacting emergency help. A radio powered by batteries keeps you informed of the road conditions. OnStar or other types of emergency contact systems in your vehicle can help you to request police, medical, or other assistance right away. Consider investing in a prepaid cell phone if you do not carry a cell phone regularly. Activate it and store in your vehicle for use in an emergency. Documentation for any roadside assistance program you have allows you a way to call for a tow truck. As soon as you are involved in an accident, contact emergency help. If you may be unable to move for a significant amount of time, conserve gas by running the vehicle intermintently but enough to stay warm. The second element of an emergency kit should prepare you to handle emergencies on your own, until help can arrive. Store most of these items in a duffle bag placed under the passenger seat or in the passenger footwell. Avoid placing it in the trunk since the trunk is out of reach of the driver's immediate grasp. Emergency flares will help you alert others of your location (store these in the truck if children travel in your vehicle). A stocked first aid kit will ensure you have medical supplies for minor to moderate injuries. A flashlight with an LED light will last longer than other types. Emergency blankets for the number of people who regularly travel in your vehicle are necessary. To get the vehicle moving, add jumper cables, sand, or cat litter for the tires and a small shovel to remove snow from under the tires. Warm clothing is also important. Be sure gloves, socks and hats are available for those who regularly travel in the vehicle. Place a few dry snacks in the kit, such as hard candies, nuts, or other nonperishable items. Place several bottles of water in the kit. Store these items together in a tote or duffle bag. Update clothing to ensure it fits your family. Replace items as they are used. In order to reduce fear, be sure to keep a few toys or books in the vehicle, especially if you have younger children. You can also bring other travel-sized activities and games. MP3 players or handheld electronics can help you to pass time while you wait for a tow truck. Although you can make your own winter car emergency kit, do consider investing in a premade product. Many auto parts stores, home improvement stores, and online retailers carry these. This Eddie Bauer Car Emergency Kit offers many of the items you need to get your car running. Supplement it with additional items for your personal being. Another option is this emergency kit from ReadySetGoKits.com. It provides medical and car supplies for stranded passengers. When purchasing a kit, check the contents against this list, or the list provided by the Washington State Department of Transportation, to ensure you have everything you need. Most of the time, you will need to supplement premade kits with clothing, food, and activities to make sure you are completely prepared. These kits are highly useful but only when they have the necessary items you need.